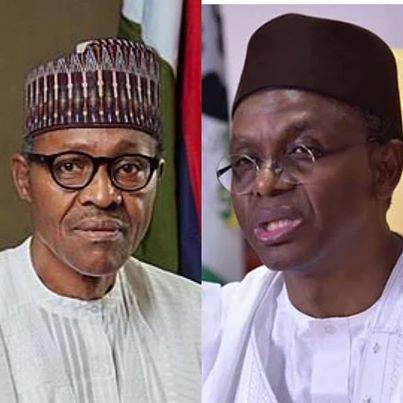 Former Minister of Aviation, Femi Fani-Kayode, on his official Facebook page attack President Muhammadu Buhari for justifying governor El-Rufai’s threat against foreigners, saying that both of them are sick in mind, spirit and soul. He also warned that Venezuela treatment will be given if Buhari rig the presidential election. His words "A Governor threatens to send foreigners home in bodybags and the President calls it patriotism? We are being led by a terrorist who once said that if he did not win an election "both the dog and the baboon would be soaked in blood". This is a sick government and a sick President. They are sick in mind, spirit and soul. "The only thing that fuels and invigorates them is the commission of atrocities and the shedding of innocent human blood. They are nothing but evil vampires and, like satan, they came for one purpose alone: to kill, steal and destroy. "Meanwhile can somebody please tell Buhari that the detention of Tunde Ayeni and harrasment of other Atiku loyalists will not alter the outcome of the coming election. 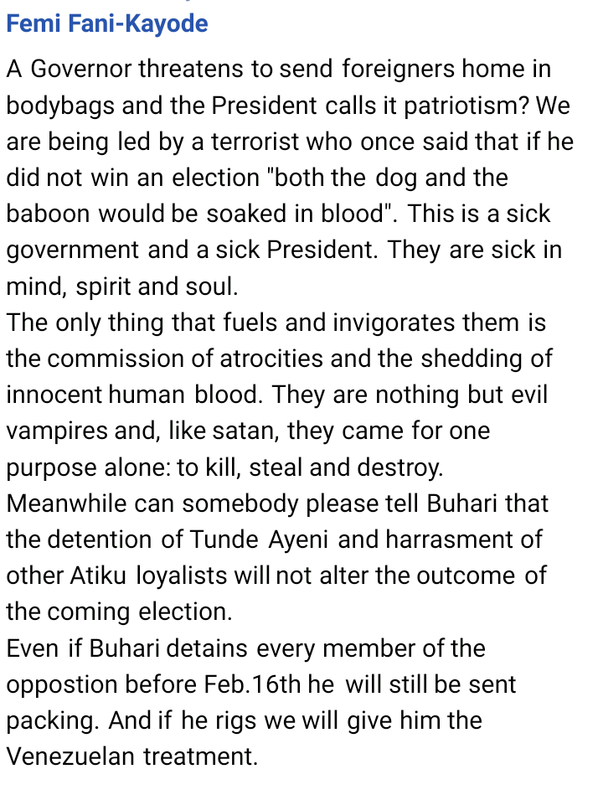 "Even if Buhari detains every member of the oppostion before Feb.16th he will still be sent packing. And if he rigs we will give him the Venezuelan treatment.